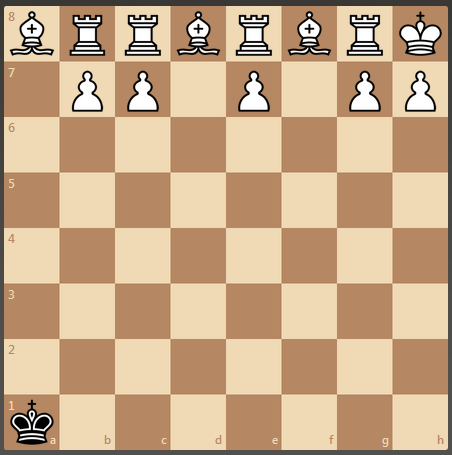 Here, white is stalemated. The king is not in check, but white has no legal moves. 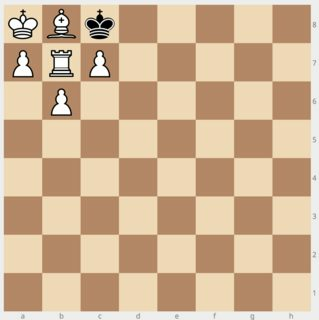 Not because any move white makes would put the king in check -- which is how stalemates normally happen -- but because no white piece can move at all, even if we temporarily ignore the no-self-check rule. 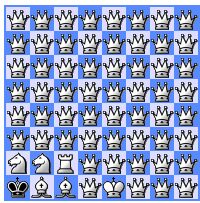 Now, this example is a bit wasteful, 62 white pieces plus the two kings. Also, it can't be reached from the starting position. Come up with an example, using the fewest pieces (total both sides). Can it actually be reached from the starting position? 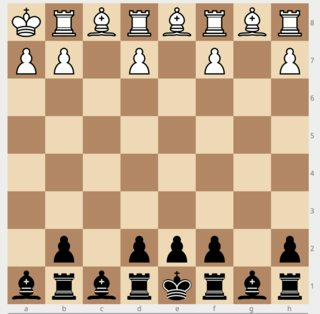 Both positions seem to be independently reachable by a legal game. It might be possible to find a legal game leading to the whole position too, but that would take a bit of time. To fill the 8th rank with major pieces which block pawns from advancing, and fill the 7th rank with pawns which block the pieces from moving. We can't have knights on the 8th, though, because they would still have 6th rank squares available. Here's a solution with 14 pieces total. 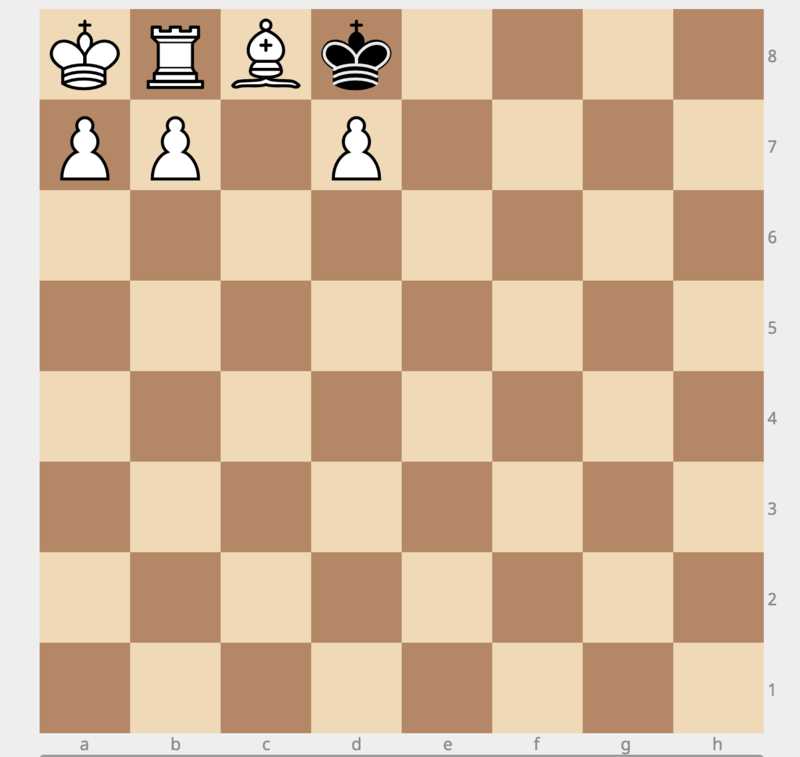 Promote three pawns to two rooks and a bishop. I think that's an alternative 6+1-piece solution. Not the answer you're looking for? Browse other questions tagged chess construction or ask your own question.